The Largest Contemporary Furniture Display in Buckinghamshire. 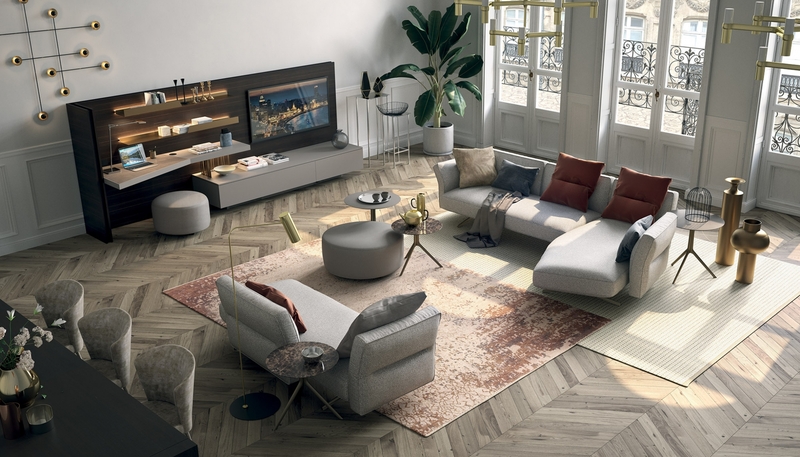 Showcasing Bontempi, Porada, Galloti & Radice, Glass Italia, Meridiani, Lago, Cattelan Italia, Lema, Natuzzi, Presotto, Flos, Leolux, Verzelloni, Cierre and many more luxurious designer furniture brands in our 20,000 Sq ft Open Plan Living Showroom. At the Sky House Design Centre a one stop shop destination for Architectural Glazing, Kitchens, Bathrooms, Fireplace, Smart Home technology, Blinds and Staircases. IQ Furniture specialises in providing high-end modern designer furniture and lighting for every part of the home. From walk-in wardrobe’s, sofas, beds, home office, lighting or children's furniture we have an extensive library of products and quirky space saving solutions, there will be no shortage of ideas to cater to the lifestyle you want. OPEN PLAN LIVING SPACE DESIGN SERVICE AVAILABLE. IQ Furniture offers a luxury bespoke home cinema room design service, bringing together design and technology for an interior design approach to home cinema specification. We offer all levels of home cinema design from a full turnkey service including flooring, wall coverings, home cinema technology and furniture, alternatively, we can simply provide the modern home cinema furniture and finishes for your perfect entertainment space. Our Home Cinema turnkey design service allows us to plan every aspect of your luxury home cinema from floor finishes to the latest integrated home cinema technology, artwork, sound insulating wall finishes, soft furnishing, entertainment accessories, storage and, of course, modern furniture perfect for home cinema spaces. Located at the Sky House Design Centre in Amersham, Buckinghamshire, IQ Furniture’s luxury personal shopping experience provides an intimate service for both new and regular clients. Our personal shopping service provides bespoke solutions to each individual client’s needs. During your two hour consultation, you will receive expert knowledge from one of our design consultants in a one-to-one meeting to suit all of your requirements. Whether you are considering changing the interior throughout your home or just in one room, IQ Furniture can help you select luxury furniture items for all rooms including the living room, bedroom and dining room according to your personal preferences, interior design and budget. IQ Furniture have three dedicated outdoor living show spaces at Sky House Design Centre. Scattered throughout the expansive design showroom these outdoor living spaces are designed to show you what is possible from your garden design. Our outdoor furniture show spaces are fully designed and include various elements of outdoor furniture from outdoor dining, garden sofas, outdoor armchairs and more. Book an appointment with one of our consultants to visit our garden furniture showroom and see the products for yourself. We’re proud of our hand-picked selection as we believe it epitomises the things that are valued most at IQ: Unique and beautiful design, quality craftsmanship and elegant timelessness. IQ Furniture are the leaders in product sourcing for contemporary furniture. We are able to source any branded product more competitively and at a shorter lead time, than any of our competitors.